My 9 year-old daughter Emily has Rett Syndrome. She is a high functioning child but she does not have any means of communication. Unless my husband and I can get an advocate to attend IEP meetings, we haven’t been able to get appropriate services for her. Which of your books will help us? Will I understand the language in these books? In our experience, many or most school people don’t know how to educate a child who can’t communicate. Some believe that if a child cannot communicate, the child is unable to think or learn. If you are familiar with Helen Keller’s story, you know this belief is dead wrong. A few years ago, we did several legal and advocacy programs at the National Rett Syndrome Conference. We were astounded at the number of parents who were being “encouraged” to keep their children at home, with no special education services. The Individuals with Disabilities Education Act (IDEA) includes a section about developing IEPs for children with “special factors” including special factors for children with communication needs. As to your question about which book will teach you how to be an effective advocate for Emily, you want Wrightslaw: From Emotions to Advocacy. 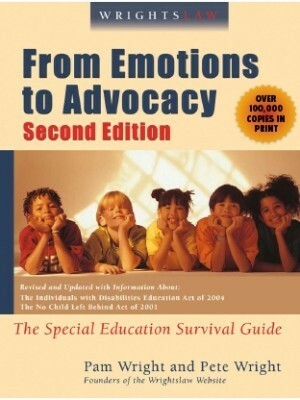 This book is designed to teach advocacy skills to parents. You learn about long-term planning, how to keep your child’s team moving on the right track, how to monitor your child’s progress, how to create paper trails and how advance preparation will help you get quality special education services. We wrote this book for parents – from those who are just beginning the special ed process to those who have been negotiating on their child’s behalf for many years. 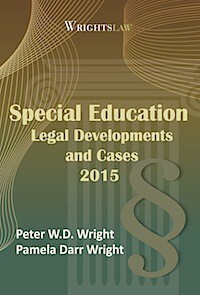 Try to attend one of our Special Education Law and Advocacy training programs. In these programs, parents learn information and skills, step by step. Most say they were energized after the program. Schedule. 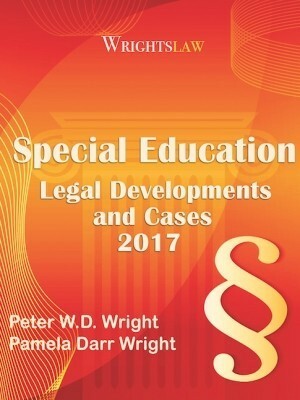 If you cannot attend a live Wrightslaw program (since your child has complex needs, this a possibility), you or an advocacy group in your area can get the Wrightslaw Special Education Law and Advocacy WebEx Training program on CD. 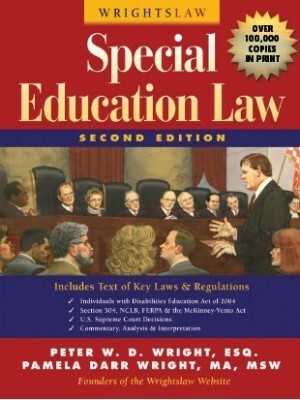 The Wrightslaw Special Education Law and Advocacy WebEx Training program is 6.5 hour program that includes all the content of our day-long program, and more than an hour of bonus content. The program is divided into four sections: special education law; other laws that are used to protect the rights of children; and two programs about advocacy strategies. Each section several topics. Click here for the program description. 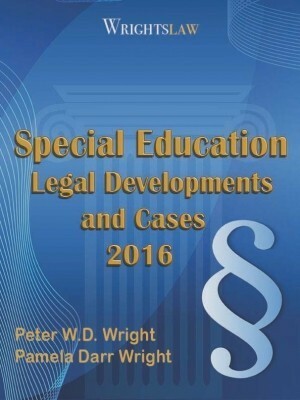 This entry was posted in Advocacy, FAPE, IEPs, Strategies and tagged advocacy training, advocate, communication needs, IEP, rett syndrome by Wrightslaw. Bookmark the permalink. Our school district is a “bad” one. They have already denied the evaluation for a AT. They said in our last Ard (with attornies/advocates) that this is based off of their screener. Where can I find information on what the screenings should actually be based upon? please and thank you! So far I hear all about why it will help and how to ask, but I haven’t found anything pertaining to screenings or our current roadblock. Thank you. There is no such thing as a screener. We have the same problem here where I live. According to IDEA it is The IEP team (which includes the parents) that considers the need for AT and accessible materials. Not a screener. If the IEP team has considered the need and find that there is one related to education goals, accommodations are not working , and/or communication needs (reading, writing, spelling) then they make a Request for AT evaluation. Look up Joy Zabala and the current 2015 QIAT . Quality indicators for assistive technology. It gives matrices for best practices and worst practices. Also go to National Center for AEM and check out the webinars for accessible materials. 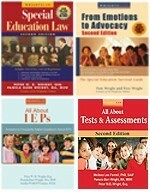 There is a brief called AEM in the IEP..there is references to AT in there as well. My experience with the collaboration model of the AT team from the district is a barrier to getting an AT eval. Moreover, an AT eval is not tied to a goal not being met…it is what the student needs for FAPE. 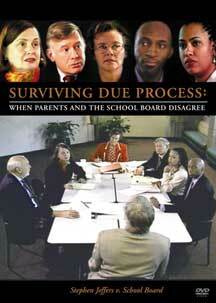 the IEP team can say we disagree and we want an AT evaluation. The best current resource I have found is by Joy Hofmeister state superintendent of public instruction Oklahoma state department of special education services “technical assistance document assistive technology for children and youth with disabilities IDEA part B”. And the technical assistance doc she wrote for AEM. Fantastic Resources! If a child has a significant hearing loss that interferes with the ability to spell and limited understanding during lectures, what should I ask for from the school to assist my daughter? She reads lips more than she uses her hearing. Who “owns” my daughter’s “voice”? My 9 yr old daughter uses an Ipad with Proloquo2 to communicate. The school provided the Ipad 2 years ago. Over the last two years as she has advanced, Proloquo on the Ipad has been customized with added buttons, folders, family outing pictures by school SLP, Childrens Hospital SLP and us at home. I was told in an IEP meeting that I could not have access to the sign on and password for the Ipad in order to back up Proloquo settings. So I posed the question of what would happen if we moved to another district? I was told that the IPad would have to be turned in and we would have to start over at the new school. This would devastate my daughter’s ability to communicate, essentially taking her voice away from her. Has anyone come across this situation yet? Thank you in advance. 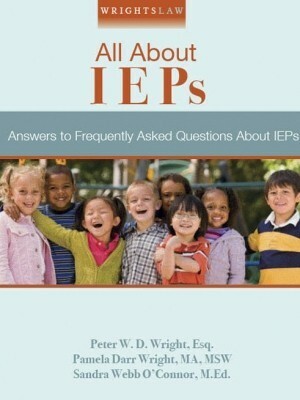 It’s been three weeks ago I had the IEP meeting for my son(5 yrs old) and I haven’t sign the IEP document.He just started in August 2011 kindergarten class and had three injuries (bitting from friends)for three times.They wanted it to keep him in the same classroom and I requested to move him to a different.They did it. His new teacher has been very resistant and evasive to be in communication with me.Also,he needs a lot of help with the potty train, new behaviours are arising when he is getting into the bus (taking off the seat bealt,socks,shoes and screaming)which I informed the teacher four weeks ago and she did not reply to my concern.Also,she misses a lot of classes.In the IEP I reported that the approach of the program he is having right now is not impacting in my child and he is not grasping it at all. I’m considering homeschool. What language should I use to inform the IEP team and also to get funding from the district where we belong? Assistive Technology…The school had a device, A.C.G., called a McCaw which sat in the corner gathering dust when my daughter was in grade 1-6. I decided to teach her “a basic toddler’s sign language” with the help of an organization that helps parents teach children with disabilities how to do basic sign. My daughter is Mentally Challenged with Hypotonic Muscles and had no real verbal language, just a few words. So, I taught her with a 60 word sign capability. The School Administration told me to “STOP teaching her sign”! I asked why and they repeated “Because not everyone knows sign”. REDUNDANT so I did not say anything. I finally bought her an A.C.G. after saving for 6 yrs. The teachers do not know how to use it, even though they have the same one??? So, how is my daughter supposed to communicate?? Yes, i totally agree with you that the school system has to listen to the parents. CHanges NEED to be made about these special education programs that don’t hire the adequated teachers and TAs. The school needs to know that our SPECIAL students are capable of learning and they can be triumphant if given the right program. I am fighting with the school so that my Autistic daughter of 6 years can be placed in the correct setting where she is respected and listened to. I observed her class and it was so awful!! I do a much much better job at home even when I am tired. Plus the school has the Autistic children secluded from the “big yard” and are kept in a very small yard with no toys!!! This is an outrage!! a scandall!! We need changes and NOW! We live in a rural area. It is hard to find someone competent to test our son who is now 16 yrs. old and non verbal, for an appropriate communication device to help him ask questions and make choices. He is low functioning but does understand simple comands and has limited vision. They’ve insisted that the pecs system is working for hiim but he does not use it appropriately. He does exchange but doesn’t even look at the pictures he just grabs and exchanges because he know if he gives something, he’ll get something in return. How do you go about finding a good assistive technology evaluator in California? My daughter is 7 and has cp, is blind, autistic and cog. impaired. Her school is having a hard time coming up with art projects to keep her attn. Class is with gen. ed. for 40 min. but the teacher thinks 15 min. is long enough to maybe get socialization skills in. Art, to me, is important and can come in many forms. I am researching with my daughters drs. and MI autism society to come up with ideas, but shouldn’t the school’s VI be asking her school where she is obtaining her certificate from these questions? Should I request an amendment be placed in her current IEP for adaptive ART to ensure she gets this time? and that it will be to fit her needs, along with the socialization with her peers? Once the teacher assigns a project, the kids can work on their own so should adaptive art be included? Thank you. Are there any special laws for the deaf. For example if a child uses American Sign Language, shouldn’t the school have a speech teacher that is educated in sign? My son’s speech teacher that is at the school does not know sign. Any suggestions would be great. Although it is always helpful to have an advocate with you at these meetings, it is the responsibility of the education department you are dealing with to identify and provide appropriate services for your child. After all, we, as parents, are not all experts in education! At times, a request for change in methodology is necessary. Some districts will not list specific methodology on an IEP, but in this case, you may be able to get your daughter trained with ABA. ABA can often assist the non-communicative child in developing meaningful language. It is most usually used with autistic children (and Rett Syndrome is on the spectrum). Talk to someone specializing in children with Rett Syndrome (neurologist, neuropsychologist, etc. 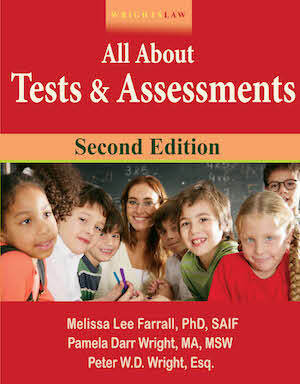 ), and ask what method of helping children achieve communication skills is most appropriate. Then, armed with a letter from this professional, go back to your district and re-open your daughter’s case. Don’t take no for an answer, and if you don’t get satisfaction go forward with mediation. Dear Jill – Thanks for taking the time to post a comment about your daughter’s experiences – as you know, learning to communicate is the key and the challenge. As a parent advocate, from emotion to Advocacy is a very valuable tool. Attempting to communicate your frustrations with school staff and their attorney makes as much sense as asking your dog how he thinks that makes you feel after you catch him messing on the carpet. Quoting IDEA and ADA law to the district admins and their attorney will not enlighten them and suddenly cause services to begin. We were recently informed that the law no longer requires parents to sign a waiver of invitation if the school district happens to mail an IEP invitation out on time (More than two or three days notice). Rather than pointing out the obvious, I thanked her for keeping me updated on Special Education Law. Regardless of our children’s disability, they do not have a voice in IEP meetings. I would have never dreamed that my child’s best expert advocate would turn out to be my wife and me. Once you begin requesting a copy of the IEP meeting minutes, the information will align close enough to the truth that their own documentation will begin to express the concerns that frustrated parents have trouble articulating. You will be a great Expert Advocate! Hello to Emily’s mother from Jill. My Rett daughter was shown a means of communication 20 years ago, and has since completed her secondary school leaving certificate, and is planning to take an Arts degree at university. Nothing happens quickly – indeed it is all a very slow process – but the important thing is that it happens, and our daughter can express herself to us and others. You may need to be what I like to call “Pleasantly persistent” with the school. As the parent of a child who had delayed communication abilities, it is imperative that your child learn some system of communication. You may have already started to use some system at home. Examine that method to see if some other way is similar, like sign, picture cards, whatever. An assistive technology evaluation should give you some ideas as well. There is a poster I have seen that says “Not being able to speak is not the same as not having anything to say.” If you use the information in the Wright’s book you will find that, perhaps slowly, but surely, you will get the supports and services Emily needs. Pam touches on a very important point. It should not be as hard as it is. Focusing on the positive methods the Wrights teach will help. An be sure to check out when your local state and Federal representatives visit your area. Ask for a short individual appointment with them. Let them know, in a non accusatory way, what you have gone through. They need to be aware of the struggle parents endure. Then write follow up letters to them, perhaps even periodically. They will start to see the reality of our lives. Finally, stay focused on Emily. Always take time whenever you can to simply enjoy your child.